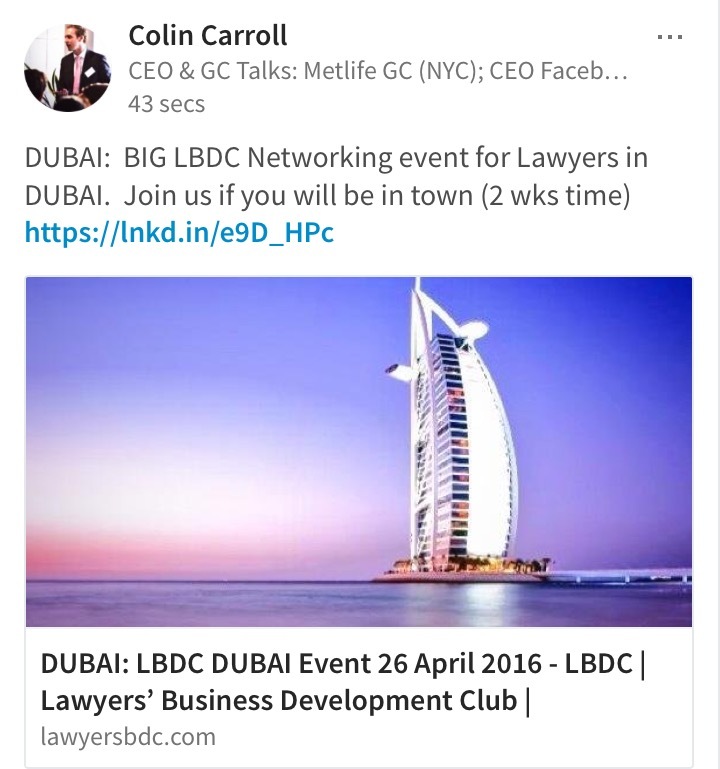 Join us in Dubai: I am very excited about the LBDC | Lawyers’ Business Development Club | event in Dubai on Tuesday 26 April (6.00 PM to 8.00 PM). It would be great to see you and have a chat if you will be in Dubai then. 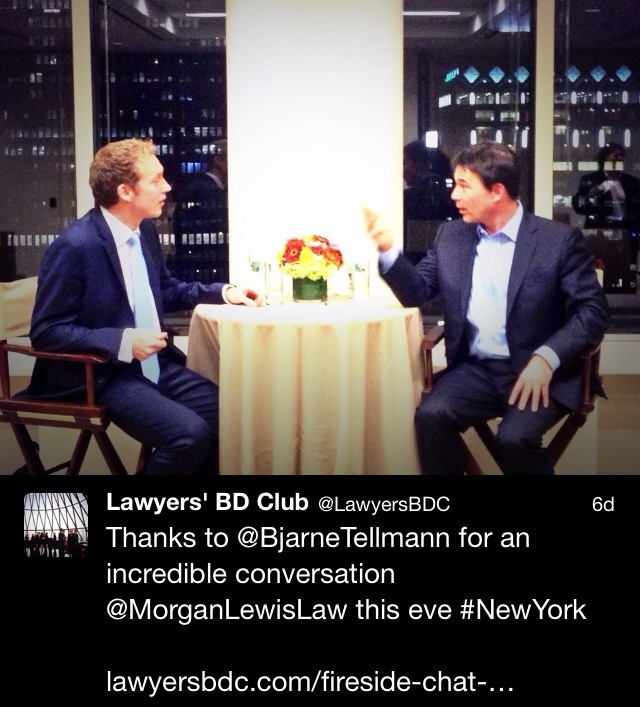 We are also planning to launch the LBDC in Geneva and Paris later this year, so please stay tuned for more details!